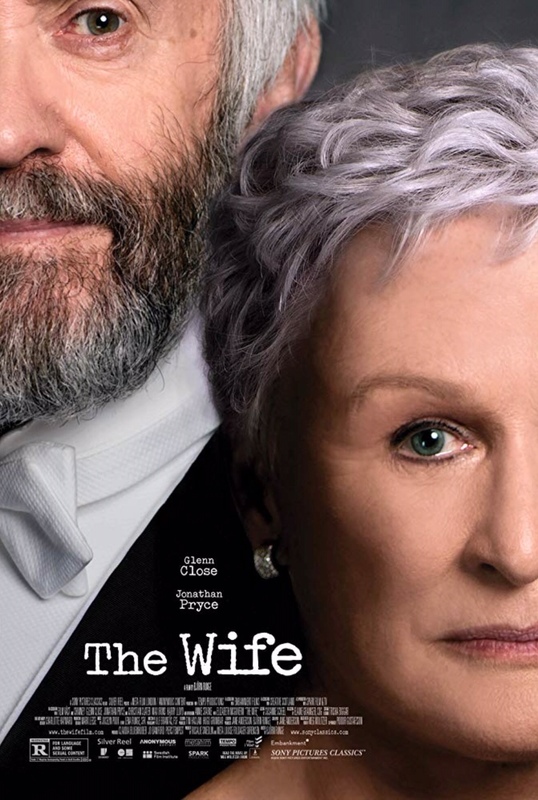 Glenn Close deserved all that acclaim for her work in The Wife. She took the role of Joan Castleman first drawn up in Meg Wolitzer’s novel and wrenched every emotional nuance out of the story as she and writer husband Joe embark on the journey to accept the Nobel Prize. We meet them in their U.S. bedroom the night of the award announcements, nervously but hopefully awaiting a phone call with good news. When the committee member on the line sounds positive, Joe sends Joan to an extension to share in his glory. As the 1 hour, 39-minute drama directed by Björn Runge from a screenplay by Jane Anderson plays out, we slowly discover why – and just how much – Joe wants and is willing to share. 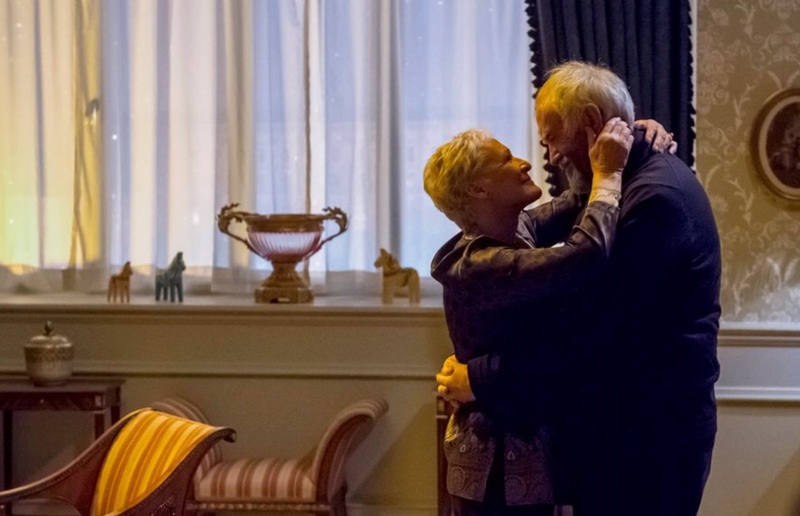 A secret between the couple is at the core, of their relationship, their lives, this movie. Jonathan Pryce is solid as Joe, a guy who has come to believe all the great things people have said about his books and his eccentric ways over the years. Christian Slater adds an interesting dimension as a journalist who’s followed them across the ocean to continue his work for Joe’s biography, despite Joe’s bitter dislike for him and continued insistence that he’ll never cooperate. A son who writes, too, and desperately seeks approval, a Nobel-assigned photographer who catches Joe’s eye, others gathered for the awards ceremony take up their time and ours. But they seem to only be getting in the way of the main vein. And the truth of the matter begins to seep out in flashbacks to the start of Joe and Joan’s relationship, when he was a professor with a wife and she was his student with considerable talent and potential. A meeting between the wife and the journalist further pulls back the curtain. But she won’t budge, despite the building bile from carrying the weight of such a secret. Close makes it matter, to the finish line and beyond. So many movies I need to see. I want to see this one too. I hope you find it compelling, MBC. I trust you and your reviews MBM, so I’m sure I will. I hope they give you a good and proper copy, Beth!